California’s Owens Valley is the source of some of the worst pollution in the nation, but for many it’s still an attractive place to make a life. There’s skiing nearby at Mammoth Mountain, hiking at Mount Whitney and a desert playground to the south, in Death Valley. Kiddoo began working at the Great Basin Unified Air Pollution Control District 12 years ago. He’s intimately familiar with the effects of a lake decimated by human diversions. Like Owens Valley, the Wasatch Front is subject to some bouts of bad air. Like Owens Valley, Utah has cities and towns filled with people who suffer through the bad air for myriad other benefits. 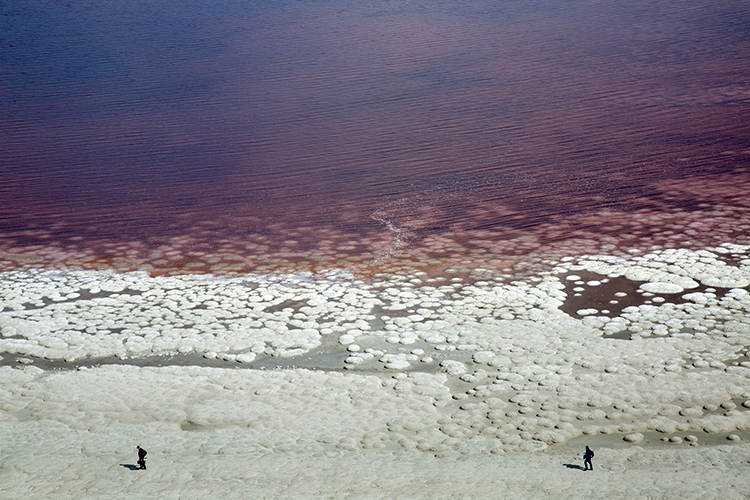 Like Owens Valley, the Salt Lake Valley shares a name with the large saline lake at its heart. But the Great Salt Lake still has one thing Owens doesn’t anymore: water. 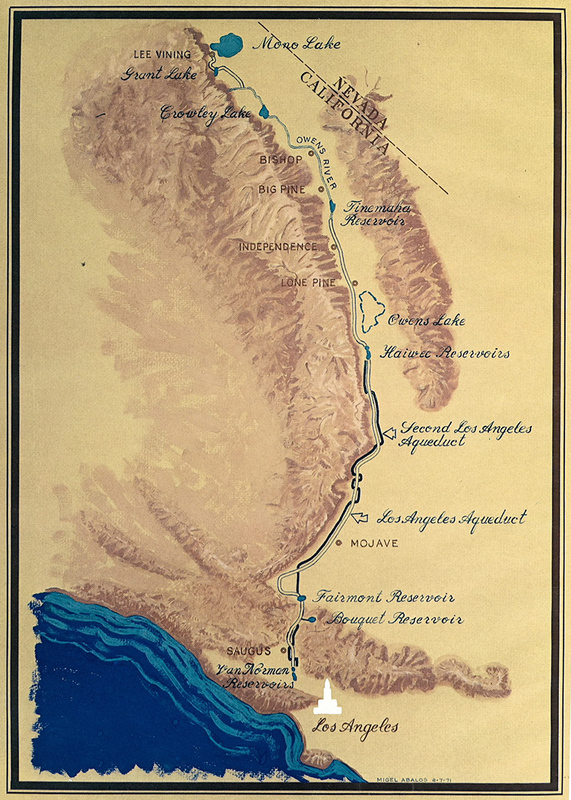 A 1971 map of the Los Angeles Aqueduct shows how water is delivered from the high Sierra Mountains to the City of Los Angeles, hundreds of miles away. The now-dry lake shows how much worse air quality in Utah could get if the Great Salt Lake continues to shrivel — and what that problem could cost. Specifically, sky-high water fees and painful or deadly health effects. A century ago, a 12-mile long and 8-mile wide saline lake fed by the Owens River sat just south of Mount Whitney. Two hundred miles to the south, the city of Los Angeles was rapidly growing and in search of new sources of water. Through a mixture of brilliance and deception, ambitious engineering and crooked cajoling, the Los Angeles mayor and city water superintendent pried water rights from Owens Valley farmers and bought up most of the property in the valley. 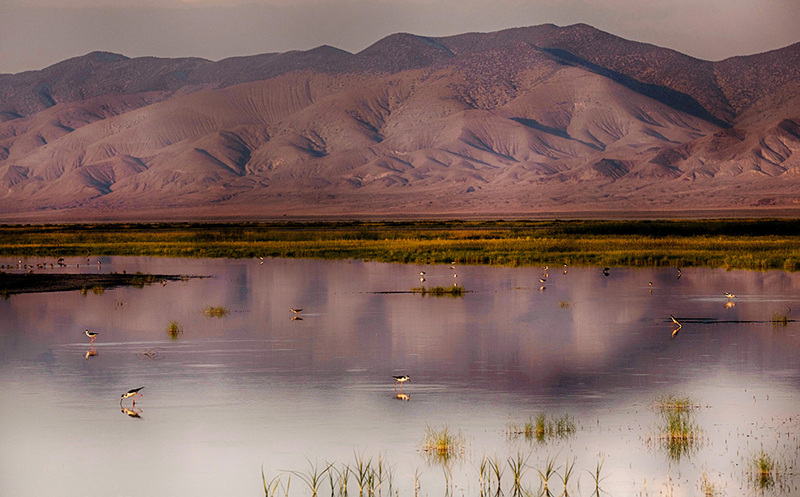 In 1913, they began piping water from the Owens River, the only source of water for Owens Lake. With its only water inlet flowing south to the artificially green city, the lakebed dried. After a few decades, winds began kicking around dust contaminated with heavy metals. The Owens Valley area became the nation's largest single source of PM 10 air pollution — dust particles small enough to embed into the lungs. The tiny pollutants can cause a slew of health problems, among them, aggravated asthma, inflammation and lung cancer. The U.S. Environmental Protection Agency figures about 40,000 residents, plus visitors and employees of the nearby Inyo National Forest, suffered health consequences of inhaling the dust. In 1970, the U.S. Congress passed the Clean Air Act, which required air quality monitoring and established air quality standards. The problem in Owens Valley was measured. Residents finally had a mechanism to sue for relief. Clearing the air didn’t come fast or cheap, but this time, residents of the Owens Valley prevailed. Almost 100 years since water began flowing down the Los Angeles Aqueduct, Los Angeles ratepayers have spent $2 billion on mitigation in the Owens Valley and will likely spend $75 million each year going forward to keep down the dust. Mitigation efforts include planting saltgrass, spreading gravel and wetting the lakebed with sprinklers and shallow flooding. Story continues below time lapse. Click or tap "play" to watch the dry Owens Lake change over time. 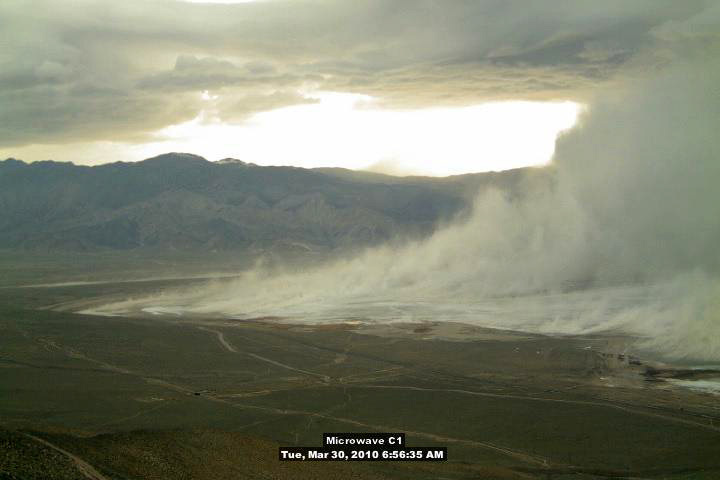 About 15 percent of L.A. residents’ water bills now go to Owens Valley dust control. 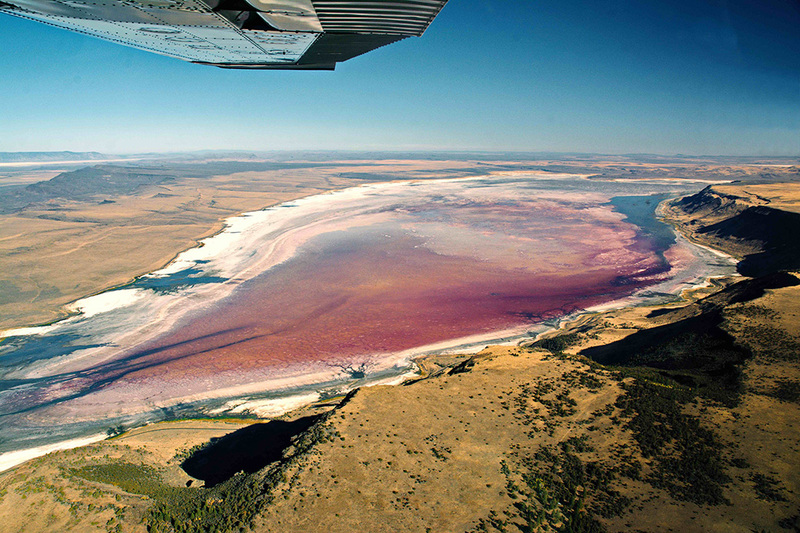 The lakebed of the Great Salt Lake is almost 16 times larger than Owens Lake was. In comparison to the 40,000 people near Owens Lake, about 2 million people live directly next to Great Salt Lake. 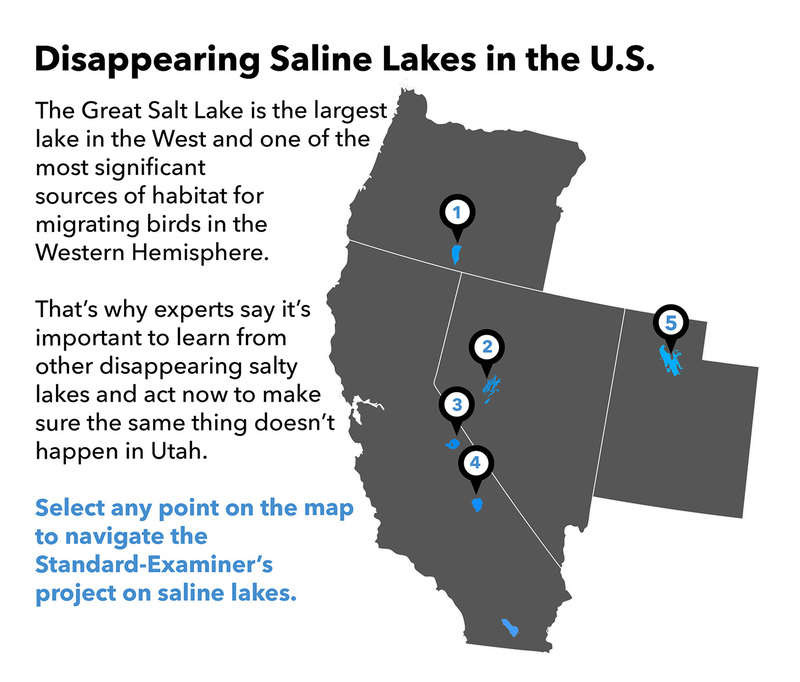 Last year, about 50 percent of the Great Salt Lake’s bed was exposed. Given all the expense of mitigation, why didn’t Los Angeles simply return water back to Owens Lake? Money, mostly. 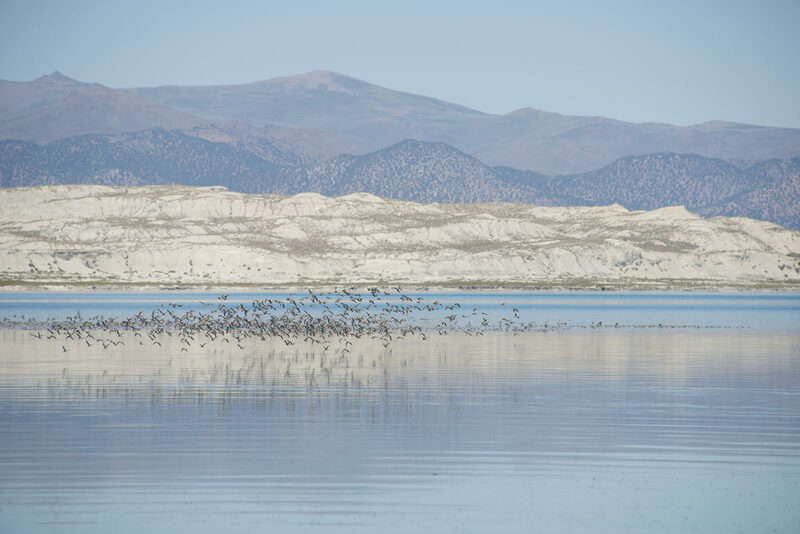 Draining Owens Lake and sending the water 200 miles south is still considered to be more cost effective and “green” way of getting water, said James Yannotta, who oversees the Los Angeles Aqueduct for the Department of Water and Power. “The Los Angeles Aqueduct is strictly gravity fed,” Yannota said, explaining it also generates an enormous amount of hydro power. As Los Angeles continues to grow, officials are looking locally for new sources of water, especially as they come out of the worst drought in California history. It turns out conservation has become the new water strategy. They enforce watering restrictions. They’ve cleaned up the groundwater supply. They’ve upped their ability to recapture stormwater. They encourage low-flow toilets and discourage maintaining grassy lawns. But that doesn’t mean L.A. residents appreciate the fraught, century-old history behind their taps. “I’m sure a lot of people just take it for granted — they turn on the faucet and the water’s there, they turn on a switch and the power is there,” he said. Kiddoo said the Great Basin Unified Air Pollution Control District now has a great relationship with the City of Los Angeles. Owens Valley is close to meeting national air quality standards, although it’s not quite there. But the flux of the political climate still keeps Kiddooo up at night. As to whether there’s anything for Utahns to learn about Owens Lake and the future of the Great Salt Lake, especially as future water projects are touted as the solution to meet the state’s urban growth, Kiddoo urges vigilence and proactivity. “It’s hard to invest energy when you don’t know for certain what’s going to happen. But if you do the science, and the science shows you or tells a story, it’s worth answering the call to action,” he said.